Want A Large Private, Wooded, Fenced Back Yrd? Want To Live On A Private Cul-De-Sac? This Gorgeous Home is perfectly situated on a Private, Low Traffic, Cul-De-Sac Street & Features 3/4 Bedrooms, 2.5 Bath with 4th Bedroom/Bonus Room Over Garage, Lrg, Wooded Back Yrd, Priv Screened Back Porch, & Large Back Deck! Int Feat Gorgeous, Durable Brazilian Teak Hardwood Floors In Dining/Living Rooms, A Spacious Kitchen w/Ample Cabinet Space, Large Island, Large Pantry, & Full Compliment of Appl! 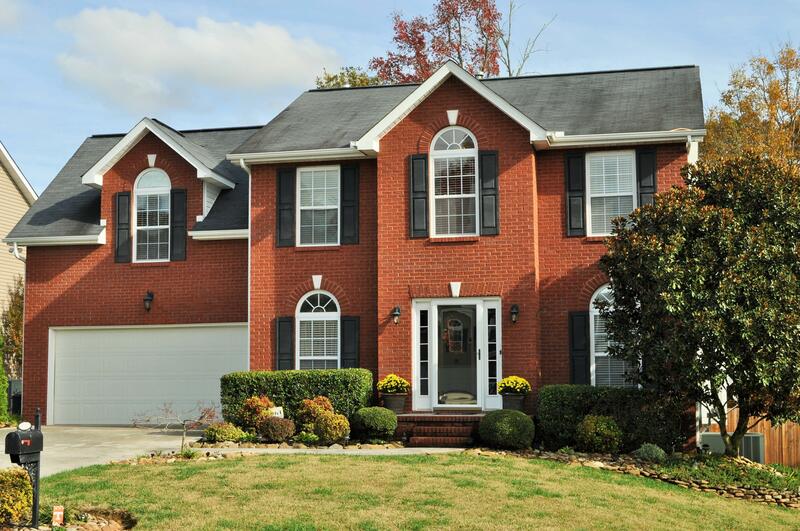 Lrg Master BR Feat Master Bath w/Whirlpool Tub & Walk In Shower! Warm, Neutral Colors Throughout! The Back Is Perfect for Entertaining or a Peaceful Evening Relaxing on the Screened Porch! Plus the wonderful amenities of Shannon Valley Farms: Sidewalks, Clubhouse, Workout Room, Playground, & Community Pool!